Size (L 60 cm) and coloration like Buzzard (Buteo buteo), but has wider wings, smaller head and narrower neck. 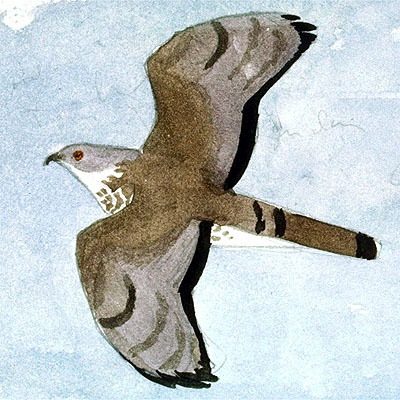 During breeding season, the Honey Buzzard occupaies open areas for hunting, nearby forests where the nest is built. Feeds mostly on insects, but also small birds. Migrant. There are a number of threats: hunting, especially during migration, deterioration of habitat and declining prey stock due to pesticides and climate changes.